What To Do When Flying With Your Baby? 1. Research which are child-friendly airlines. 2. 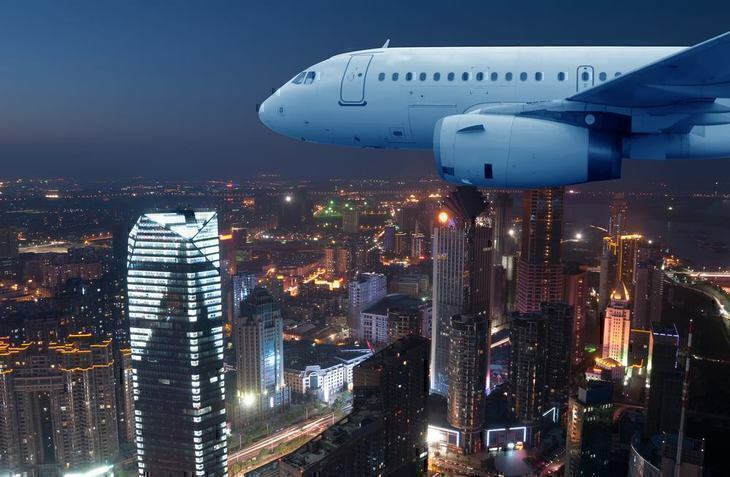 For long travels, opt for nighttime flight. 3. Plan strategically where you’ll be sitting. 5. Keep the baby awake while waiting to board the plane. 6. Feed during ascent and descent to avoid ear popping. Ready To Travel With Your Little One? Traveling with babies and toddlers can be very challenging but ultimately fun. Besides, not all families are lucky enough to have beaches or tourist spots in their city so if you want to have a break and take some chill pill, you may need to book an airline ticket. Or like in my case, we were compelled to travel because our little one’s grandparents and cousins wanted to see him. To tell you the truth, it can be a bit of a stressful time, especially for us moms. You need to make sure you packed all the essentials including a diaper bag, snacks, toys, extra clothes, bottles (if you’re using them) and of course, the rest of the family’s stuff, toiletries, and gadgets. During the first time, I felt like I was carrying half of our house. I tend to go overboard with packing so needless to say; we had everything from rattles to a ﻿﻿stroller. The bottom line, I feel you if you’re under the same stress and pressure. Flying with a (2-20) month old kid is no mean feat. Instagram photos may tell you otherwise but it’s never easy. Plus, there’s always the possibility of other passengers getting pissed off because of your crying tot. It’s one of the worst feelings ever – to be unprepared. Remember, during takeoff and landing, air pressure could build up in the ears, and that will be very uncomfortable or even painful for your wee one. The last thing you want is for the trip to become a nightmare – having your baby wail and scream for the entire flight. 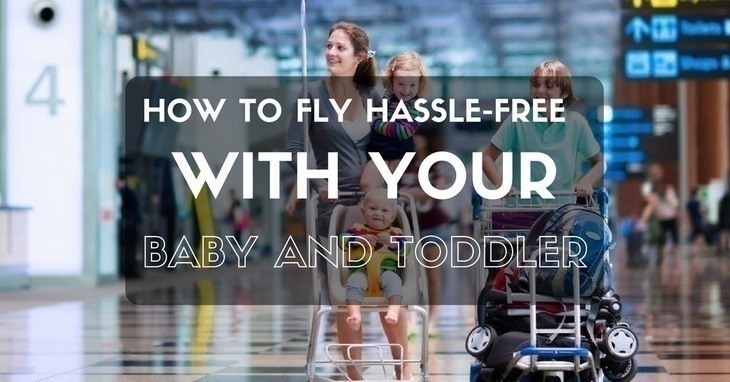 But don’t worry, keep in mind that forewarned is forearmed and I will let you in on some tips and tricks on how to fly with your kid hassle-free. In turn, it will help you enjoy the ride too. All you need are two things: patience and peace of mind. Before motherhood, I used to cringe or scoff whenever I see people bringing babies onboard who can barely walk. I mean, the ear-popping is uncomfortable for adults, what more for kids who can’t understand why it happens and what they need to do about it? Of course, parenthood changes you in so many ways including being a sympathetic soul. Whenever I see other moms anxiously looking around whenever their toddlers are throwing tantrums in the middle of the flight, I try to help in whatever way I can – give them a toy or snack, introduce them to my boy, or just show support to the parents. 1. So you see, patience is a virtue even in these circumstances. Like I said, you can’t control your tots – their emotion or reaction. What you can do is at least provide an environment where they will feel at ease and not stressed out. Imagine being stuck in a closed space with so many strangers – that would likely freak them out. But if you show them you’re there and give them some distractions; it won’t be as bad as you think. 2. Peace of mind is a must when you’re dealing with a wailing baby or kid. If you’re in distress, they might feel it too and be more anxious and restless. Have the peace of mind to calm your little one and remember the tips I will mention here so you can apply it on your next travel. If you feel uneasy and nervous at the first sign of a tantrum, you might end up forgetting what you know on how to deal with such incidents. First things first, you may want to Google a few things before booking your tickets. There are airlines which allow your toddler (less than two years old) to travel for free provided you just let him sit on your lap. It may not be a good option for some especially when they prefer using a car seat for the entire flight. There are also those who don’t offer free meals, and you need to know this beforehand so you can prepare snacks. For one, Virgin Atlantic have infant seats, a kid’s pack (rainbow pen and activity book, socks and eye mask) and even offer puree if your little jet setter is hungry. JetBlu﻿﻿﻿﻿﻿e, on the other hand, may be low-cost, but it doesn’t skimp on the child-friendly services: unlimited snacks and in-flight kid’s shows and movies. As much as possible, these should be your priority more importantly if you’re flying for more than two hours. It's one of the tricks I learned because we timed our baby’s first airplane ride to his nap time. It will be less stressful for you. Yes, they may wake up upon descent, but that’s only a few minutes more to go before you have to exit the aircraft. You wouldn’t have to worry about entertaining and distracting your kid for hours because they’ll just sleep it away. It will be most applicable to those flying overseas which can take several hours. The baby won’t be as cranky and fussy because they’ll be too drowsy to throw a tantrum. However, you may need to deal with jetlag later on. It’s always best to travel with a partner. If your husband can’t make it, ask a friend or sister. At this age (2-20 months), it’s difficult to fly alone. Picture it out: you’re struggling with a crying, wiggling baby and you need to find his food or milk. It will be way more stressful for both of you. The best seating arrangement would be to sit across from each other (your significant other or whoever decided to tag along) with the aisle in between. You can take turns in carrying so it won’t be too boring for the little one, and he can have various views – near the window or TV. Another option would be to sit near or beside other families with children. Not only can your kids interact or play but they will tend to be more sympathetic towards you (and not judgmental) if your baby or toddler is starting to get restless. They might even offer some snacks or toys to help you calm him down! With bottle, milk dispenser, water, pacifier, nappies, wipes, toys, books, carrier, iPad or any other essentials you deem necessary for the flight. I know I’m a major gadget snob, and I’ve expressed my dislike at having kids less than ten years old play or pass the time with an iPad. However, there’s always an exception to the rule, and I believe this is one of them. During one of our flights, I added simple games, kids’ shows like Peppa Pig and Sesame Street, and other educational videos to my iPad. It was neither a very long flight nor a short one, it was somewhat in-between (around 1 ½ hours). And I’ve never been happier to succumb to the temptation of technology. While my then-10-month-old boy was enjoying munching on his steamed vegetable, he was watching his favorite shows.I’m telling you; it was a smooth ride. I couldn’t believe it either; it was Peppa Pig to the rescue. The hum of the engines is pretty soothing for them. When you schedule the flight to coincide with their nap or sleeping times, you might find them snoozing soundly after takeoff. So it goes without saying, if he takes his nap at 11 AM, you could book the nearest flight schedule and keep him awake until after the ascent. Unless there’s turbulence, he will feel relaxed and will probably just wake up in time for the landing. 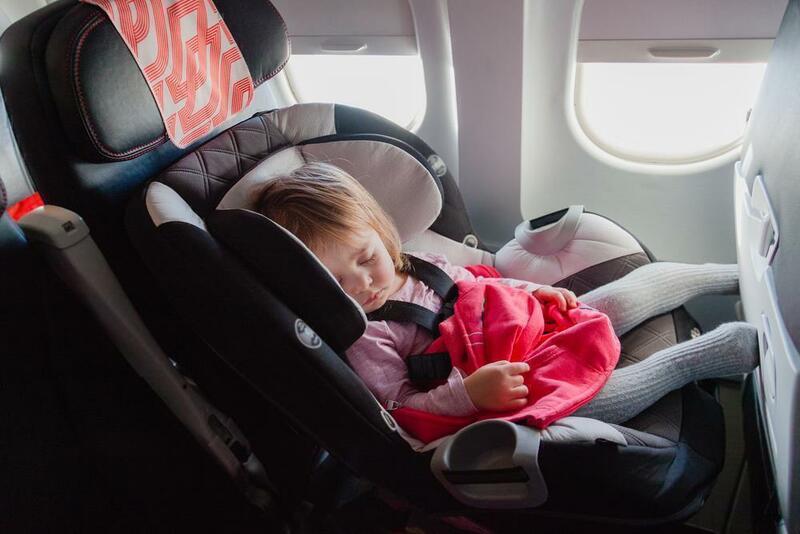 A sleeping baby equals a peaceful flight for the parents and everyone else onboard. I have this habit of chewing gum during flights to prevent this sensation. Even after flying a couple of times, I still find it uncomfortable. And there’s always a huge possibility of a calm baby distressing after the takeoff. One minute they would be all happy and relaxed then after the ear popping, they’d be wailing as if you’ve just taken their favorite toy – mostly because they’re confused and scared. What you can do is feed them milk. Swallowing can equalize the air pressure changes in the ear. If they’re drinking from a bottle, always keep them upright. It’s a cute gesture and one that will make your fellow passengers less irritated. Some may not use those plugs but hey; it’s the thought that counts. Flying commercial and going on trips should be a fun experience for you and your child regardless of their age. I know it’s easier said than done because I’ve been there. 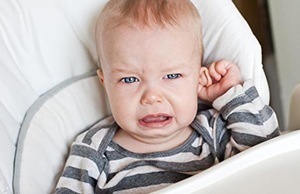 But though your wee one’s mood is something you have no control over, you can follow these steps to minimize any discomfort for them and also to lessen the likelihood of temper tantrums. Remember, taking vacations is a great family bonding and effective stress reliever – don’t let one flight ruin all that.